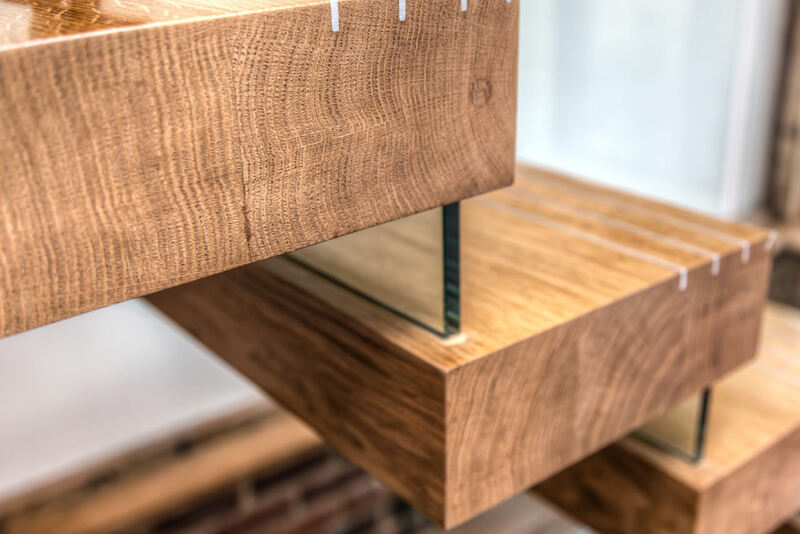 Spiral has designed and engineered this unique staircase with solid oak timber treads to be structurally supported by glass alone. 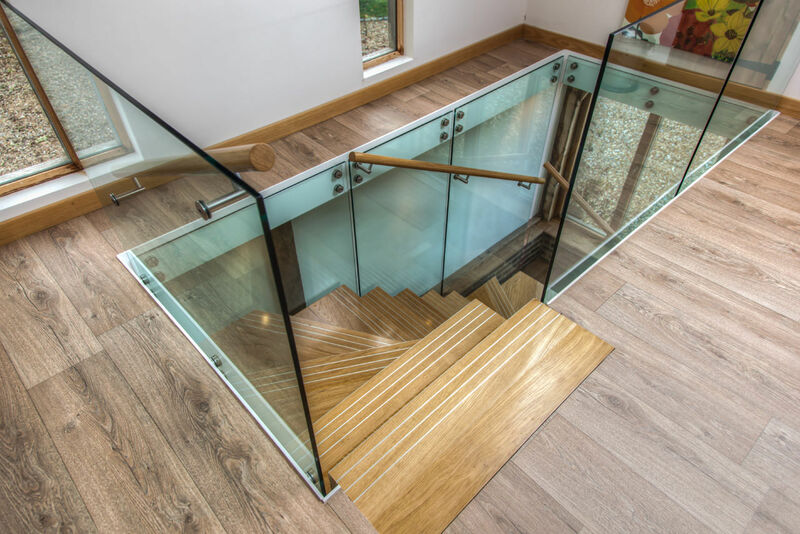 The glass has a second function acting as the stairs balustrade. 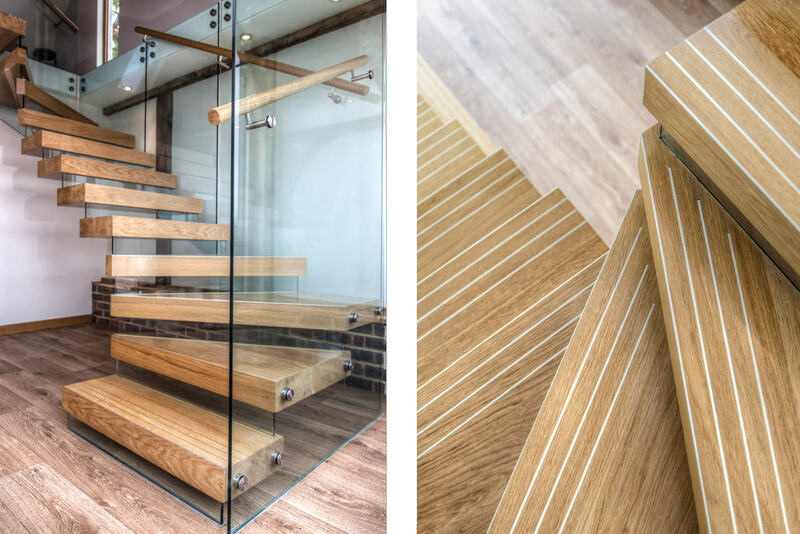 As a manufactured concept design of Spiral’s, this stair has been in use now for several years.